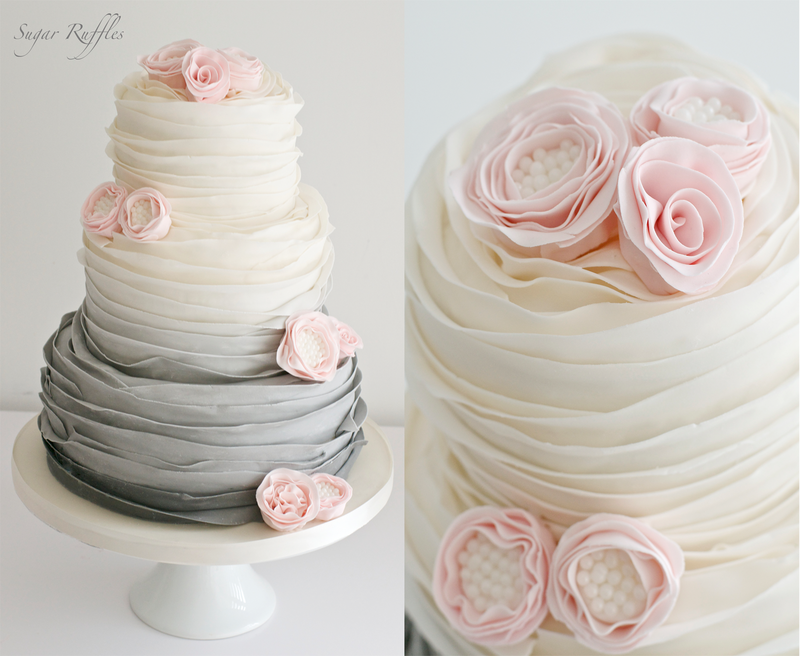 Grey ombre wedding cake with pink ruffle flowers delivered to Inn on the Lake for the wedding of Tracey and Celina. Flavours- Top tier- gluten free caramel, middle tier- white chocolate and passion fruit, bottom tier-chocolate. Your flowers and colours are divine.